In preparation for summer we are experimenting with some new spice mixes and while we will never abandon our trusted homemade Malay masala & Moroccan Ras-el-hanout, we are also looking at more North African spice mixes. One of these, Bahārāt, which simply means “spice” in Arabic, is a all-purpose seasoning used in North African cuisine. Although the particular blend varies by region and household, it always includes black pepper and typically has cumin, cinnamon, and cloves, among other spices. Aromatic, warm, and sweet, a pinch of bahārāt can add depth and flavor to soups, tomato sauces, lentils, rice pilafs, and couscous. It can also be used as a rub for fish, poultry, and meat; mixed with olive oil and used as a vegetable marinade; and blended with garlic, parsley, and olive oil to make a condiment paste. 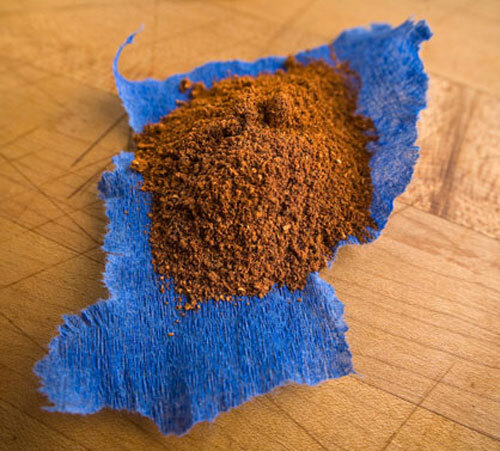 Grind the whole spices using a mortar and pestle, spice mill, or coffee grinder. (You may need to do it in several batches.) Add the paprika and nutmeg and combine. Make sauce: Stir yogurt with garlic and salt to taste. Make köfte: Cover bread with water in a bowl and soak 30 minutes, then squeeze bread to remove as much moisture as possible. Prepare grill while bread soaks. Transfer squeezed bread to a large bowl and add remaining köfte ingredients, then mix well with your hands until thoroughly blended. Divide lamb mixture into 16 portions and form each into a ball. Roll each ball into a 7- to 8-inch-long “cigar,” rolling first between your hands and then on a work surface (be sure the köfte are thin enough for even cooking). Slide a skewer lengthwise through center of each köfte. Grill on oiled grill rack, turning over once, until golden and just cooked through, 4 to 6 minutes. Serve warm with yogurt sauce.